Subjects we cover at primary school level include Maths, English and Science. At primary school children are expected to learn and develop at a very fast pace. Children will study a wide range of topics within the fundamental subjects of Maths and English and for some this can be overwhelming. As a result, our approach is to review all of the topics covered during the previous year of study to ensure that students know everything they should know. We have many tutors who specialise only in primary school students and who have a clear understanding of how to keep children engaged at this stage in order to ensure progression. For other students, the curriculum as taught at their school may not be sufficiently demanding. Some parents request tutoring to extend and challenge their academically advanced children. We have several tutors who particularly enjoy this kind of work. 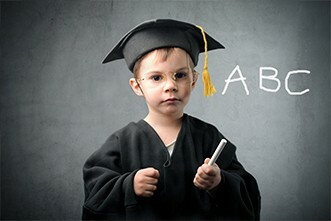 They can help your child to reach heights they simply could not have achieved through school alone. A particular area of tutoring is preparing children for the 7+, 8+, 20+ 11+ and other school entrance examinations, and we have a lot of experience in preparing students for these exams and getting them to the required standard. Ages 11-14 is a crucial time in which students build the foundations of success at GCSE, and academic work becomes more complex and difficult. It is essential that students develop their abilities during this time, in order to be ready for greater challenges at GCSE and A-Level. Students will continue to focus on English and Maths, and other subjects studied in primary school such as Science, History and Geography, and a foreign language, often French. However, new subjects may also be introduced such as additional foreign languages, perhaps German or Spanish, and Latin and Greek. Sometimes the step up in difficulty or the addition of new subjects can shake students’ confidence, and we aim to restore it through encouraging and positive tutoring. Some students will also be working towards the 13+ school entrance examinations. These exams can be very challenging and may be well beyond the curriculum studied in school. We have extensive experience in preparing students for these tests and have helped many into the school of their choice. GCSEs are a very significant milestone for students. They will impact on university entrance which in turn may affect the rest of a student’s life. As such, it is important for students to achieve their full potential at this stage. We are able to assist in preparing students for GCSE/IGCSE in all of the subjects listed below. Rather than ‘cramming’ knowledge in a short time before the exams, we focus on developing a clear understanding of the principles and concepts underpinning each subject and topic. From this base, the student is able to build up detailed knowledge, leading to strong academic results and preparing them for A-Levels or the International Baccalaureate. A-Levels/IB are the most important exams a student will take during their time at school. They are also the most demanding, and many students, even those who found GCSEs relatively easy, may find themselves challenged by the A-Level/IB syllabus. Tuition can help students master difficult concepts, think more deeply about their subjects, and prepare for university entrance. We offer tuition in a wide variety of A-Level/IB subjects. If you do not see your subject on the list below, please contact us as we may be able to assist. We are sometimes able to offer tutoring in subjects outside of those usually taught in school. Among others we have assisted students in studying for professional accountancy qualifications, for the IELTS exam and for the LNAT (Law National Aptitude Test). We have tutors who are able to teach: Hebrew; Arabic; Linguistics; Norwegian; Dutch; English as a Foreign Language; and many other subjects. Additionally we have several tutors who specialise in working with students with dyslexia, dyspraxia, and other learning difficulties and Special Educational Needs.